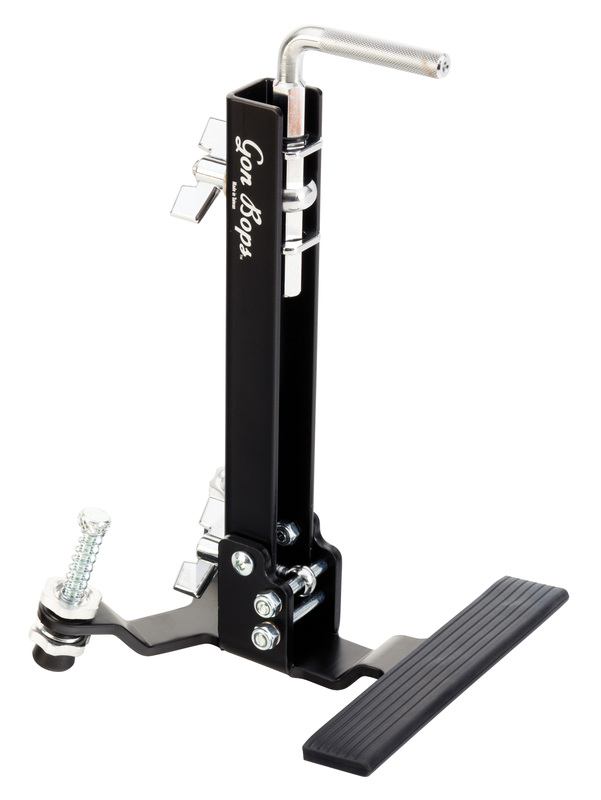 Designed for gigging professionals who want a strong but lightweight stand! 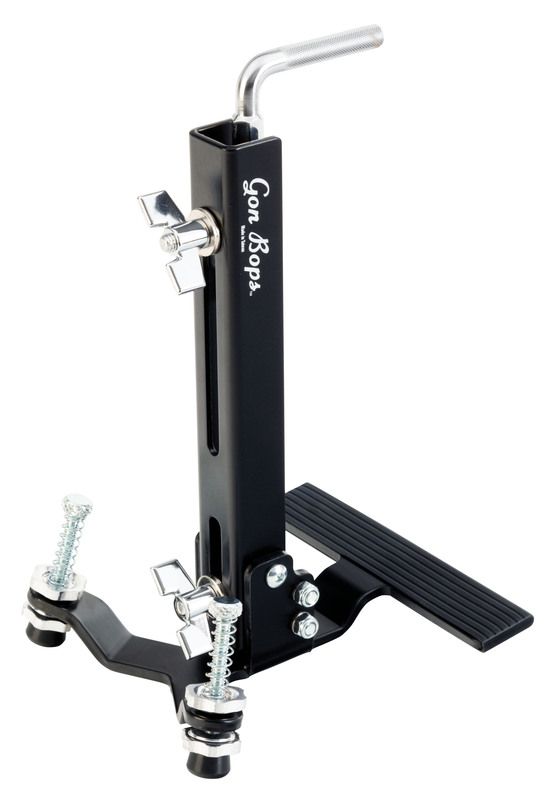 Sturdy and very portable, this stand is extremely lightweight and folds easily into your travel bag. 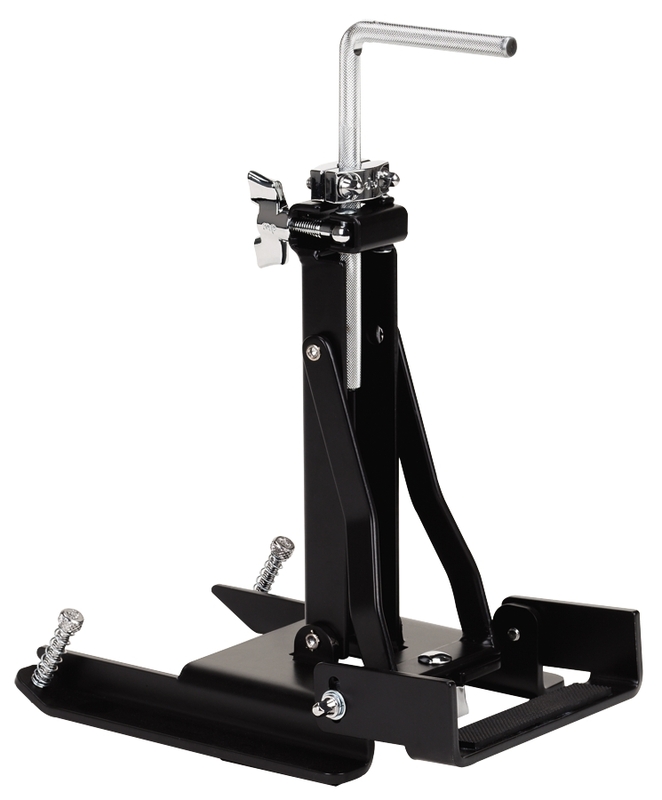 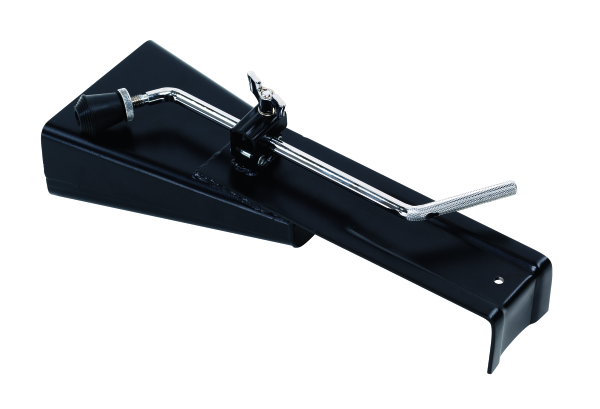 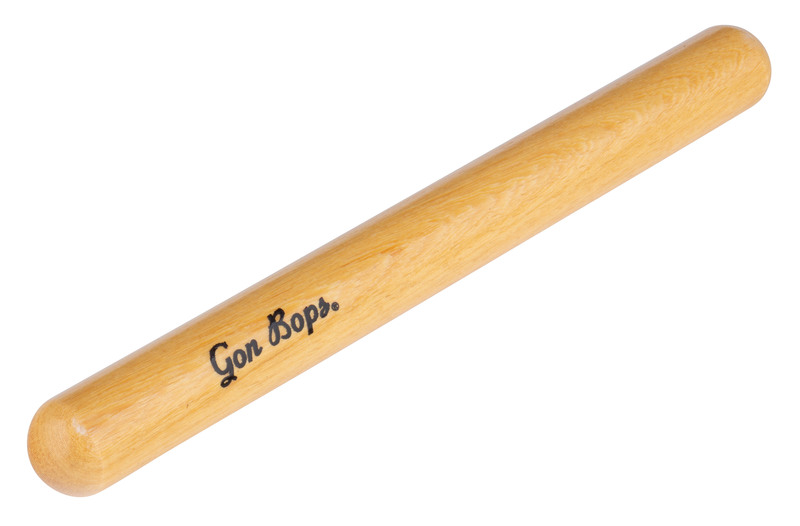 It attaches to any standard bass drum pedal and offers a 3/8″ diameter adjustable post that slides to the exact position for your cowbells, blocks or other mountable small percussion instruments.